December 12, 2009. Rome, Italy. On the morning of December 12th, in the basilica of St Paul Outside the Walls, Bishop Brian Farrell, LC, Secretary of the Pontifical Council for Promoting Christian Unity, ordained 59 religious from the Legionaries of Christ to the priesthood. the priesthood, dedicating themselves to their spiritual, human, intellectual, and pastoral formation. 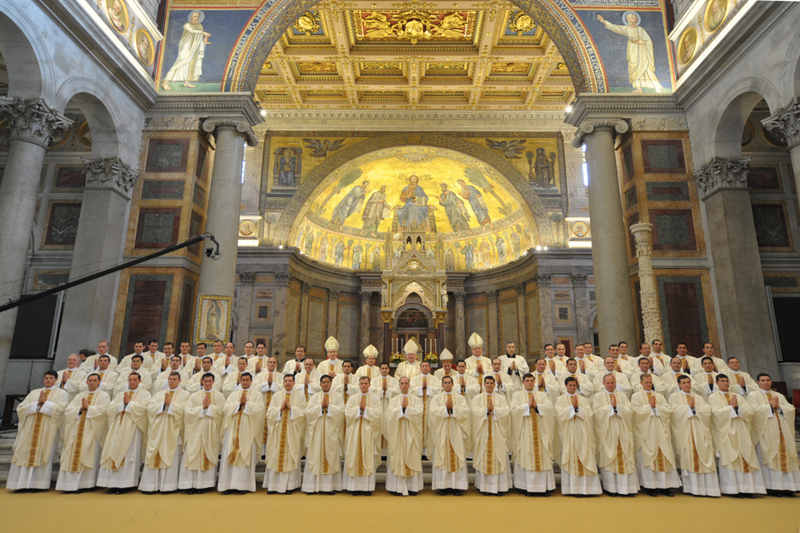 These 59 new priests bring the total of Legionary priests to 860 worldwide.